Please keep in mind that Charlotte St is a one way street, accessible from the Creek St end. 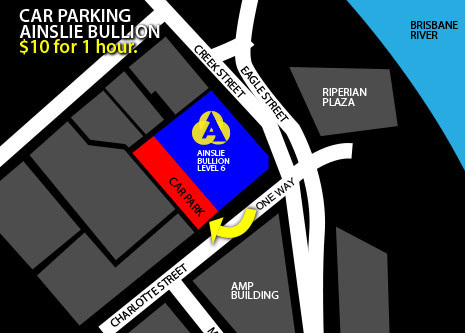 Enjoy our discounted parking rate - $10 for 1 hour. Enough time to pickup your bullion and have a quick coffee in our foyer.